Former Ahold executive Erik Keptner has been named SVP of marketing for Wakefern Food Corp. He brings nearly 20 years of experience in the supermarket industry to his new role at Wakefern, where he will develop marketing and merchandising strategies that build upon the company’s rich legacy of successful retail brands. He will also oversee Wakefern’s digital commerce and analytics, advertising, corporate merchandising, private label and own brand, and social media and digital advertising divisions. He will report directly to Wakefern EVP Chris Lane. 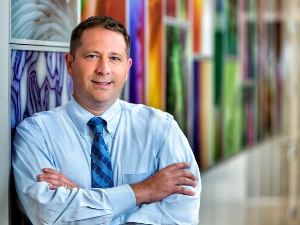 Keptner most recently served as SVP of sales, merchandising and marketing for Ahold Delhaize’s Giant Food Stores division, based in Carlisle, Pa. Keptner left Giant in March, according to his LinkedIn profile. Donna Zambo, who previously headed e-commerce at Wakefern, left the company earlier this year to become chief marketing officer at Allegiance Retail Services. “Wakefern has a long history as a respected industry leader. I look forward to joining the team and working with the 50 cooperative member families that make up this esteemed retailer,” Keptner said. Before taking over in 2014 as SVP at Giant, Keptner worked as EVP of marketing for Ahold USA. He also served as SVP of marketing and consumer insight from 2009 to 2012, and SVP of marketing and communication for Giant. Keasbey, N.J.-based Wakefern Food Corp. is the largest retailer-owned cooperative in the U.S., whose member retailers operate stores under the ShopRite, Price Rite, Fresh Grocer and Dearborn Market banners.